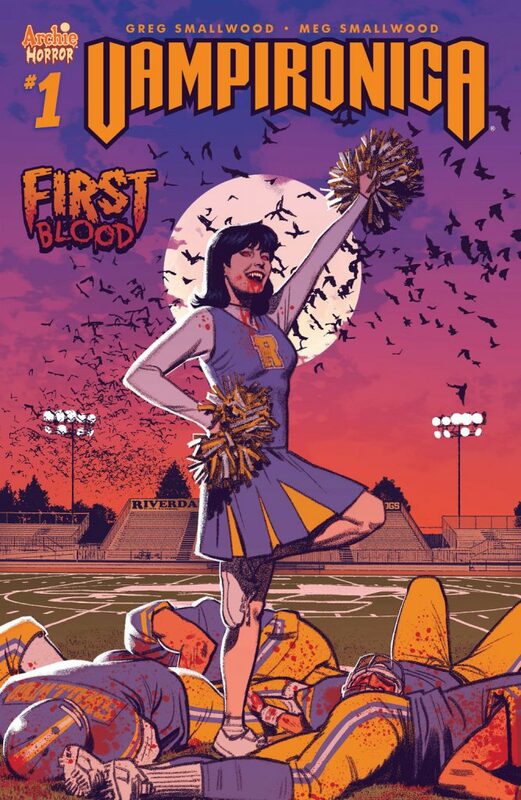 Veronica Lodge has turned into a bloodthirsty vampire – and now the smartest student at Riverdale High, Dilton Doiley, is about to uncover her deadly secret! Will he lend a helping hand or try to drive a stake through her heart? 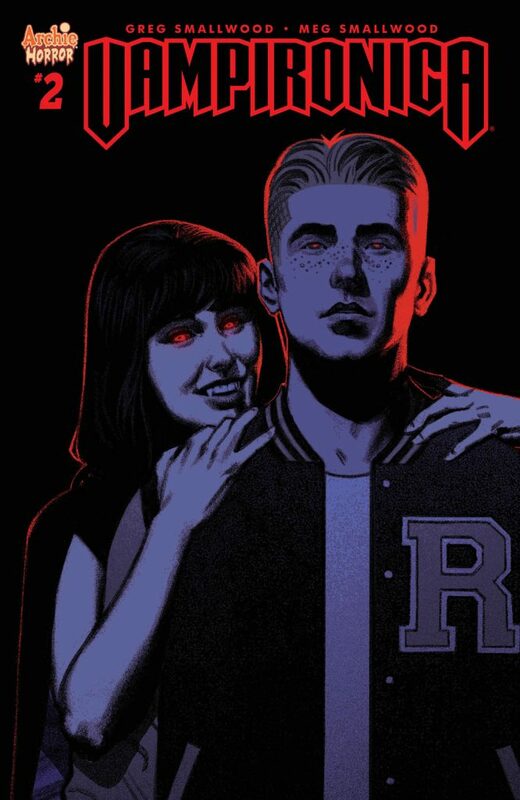 On May 30th, join the team of Greg and Meg Smallwood and letterer Jack Morelli as they bring Riverdale’s rich girl to undead new life in the second issue of VAMPIRONICA, a horrifying new series for TEEN+ readers. VAMPIRONICA #2 hits comic shops and digital platforms on May 30th, 2018 and features variant covers by Francesco Francavilla and Robert Hack. Pre-order your copy of VAMPIRONICA #2 from your local comic shop or order online from the Archie Comics Store. Subscribe to get copies of VAMPIRONICA delivered straight to your door! 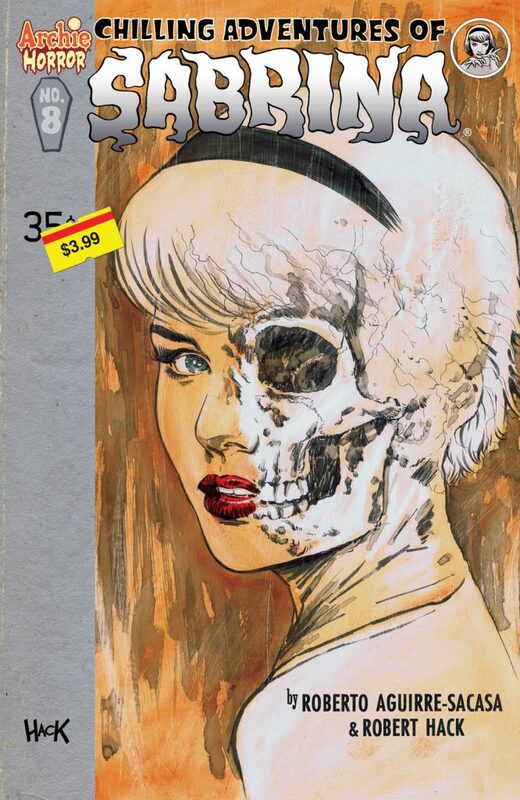 CHILLING ADVENTURES OF SABRINA returns to comic shops on July 5th as Sabrina’s father, Edward Spellman, rises from the dead, inhabiting the body of the newly resurrected Harvey Kinkle! Sabrina, believing the love of her high school life is back, has arranged for a romantic rendezvous…but who is Edward Spellman? How did he become a warlock? Why was he banished to witch- limbo? And now that he’s back, what are his intentions? Towards his sisters Hilda and Zelda—and, most importantly, towards his daughter Sabrina? And what role does Madam Satan play in this infernal game? With the drums of the Witch-War sounding, and battle lines being drawn, the dark truth about Edward’s murderous origins are finally revealed in this extra-long, extra-dark issue! 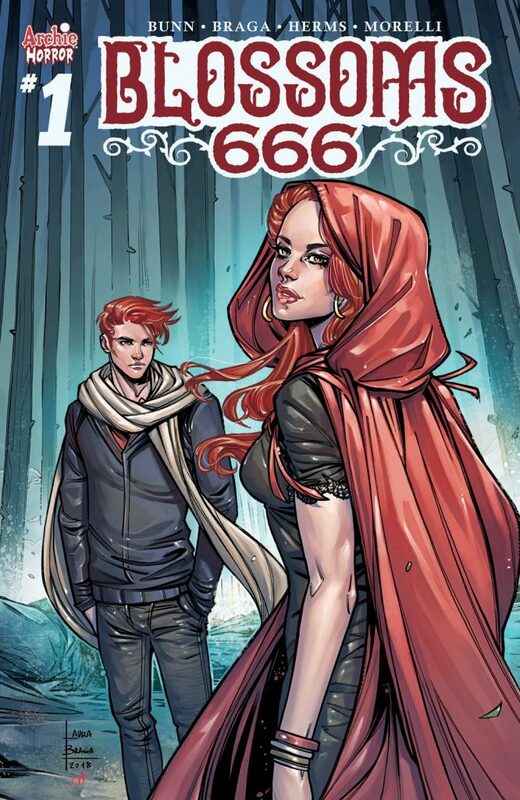 Harvey Award-winning writer Roberto Aguirre-Sacasa (RIVERDALE, AFTERLIFE WITH ARCHIE) and artist Robert Hack (Doctor Who, The X-Files) bring this dark re-imagining of Sabrina the Teenage Witch’s occult origin to spine-tingling life in the seventh issue of CHILLING ADVENTURES OF SABRINA. 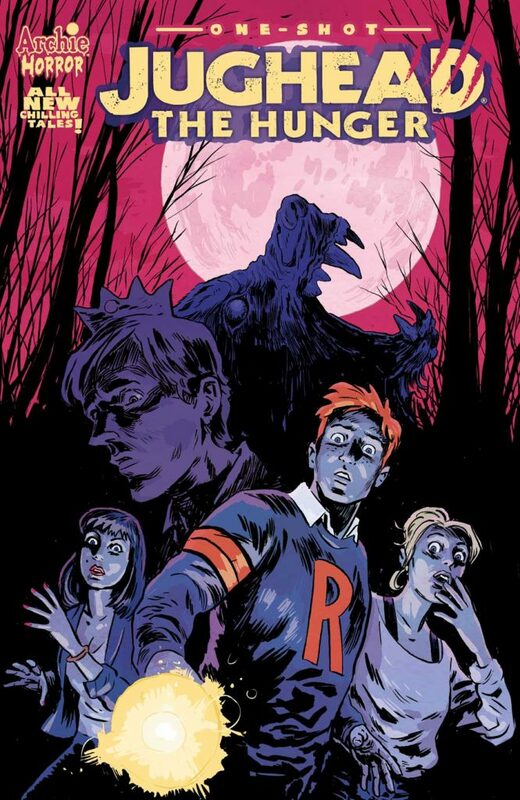 The oversized AFTERLIFE WITH ARCHIE issue that has had fans buzzing for months is back in comic shops for a second printing with an all new cover by Francesco Francavilla! 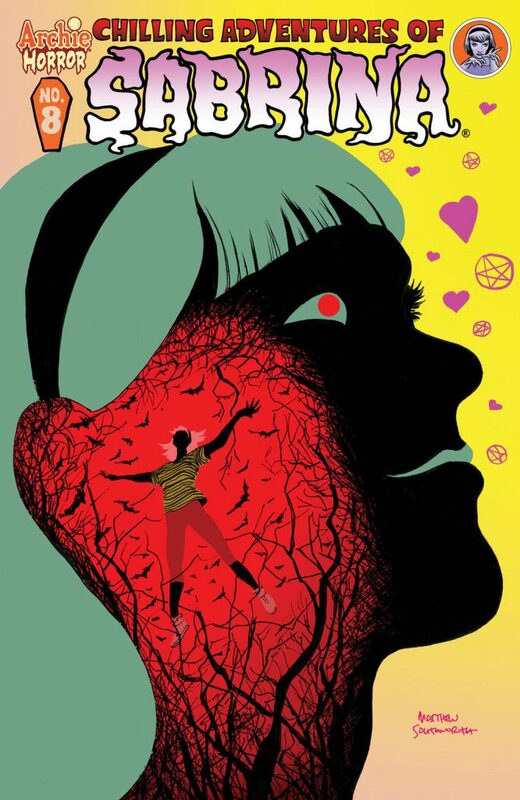 Discover the tragic and terrifying secrets behind Josie and the Pussycats in this special interlude issue by Archie Horror masters Roberto Aguirre-Sacasa and Francesco Francavilla! The second printing of AFTERLIFE WITH ARCHIE #10,”Interlude with the Pussycats!” will be available in comic shops on 10/19. Read the AFTERLIFE WITH ARCHIE series by visiting a comic shop near you, the Archie Comics Online Store, or digitally on the Archie App! Before the end of the world began, a female pop trio was setting charts on fire. But in a world of TMZ and paparazzi-driven media, somehow these women kept their private lives a secret from everyone—until now. A full-access interview promises to show the tragic and terrifying origin story of Josie and the Pussycats. Don’t miss the oversized 10th issue of AFTERLIFE WITH ARCHIE,”Interlude with the Pussycats!” by writer Roberto Aguirre-Sacasa and artist Francesco Francavilla, available in comic shops and digitally on 8/31! Don’t miss out on the next chapter of the hit Archie Horror series – pre-order AFTERLIFE WITH ARCHIE #10 with your local comic shop today and get it in comic shops and digitally on 8/31! Read the AFTERLIFE WITH ARCHIE by visiting a comic shop near you, the Archie Comics Online Store, or digitally on the all new ARCHIE APP! Before the end of the world began, a female pop trio was setting charts on fire. But in a world of TMZ and paparazzi-driven media, somehow these women kept their private lives a secret from everyone—until now. A full-access interview promises to show the tragic and terrifying origin story of Josie and the Pussycats. For TEEN+ Readers.